Trump: I Looked Like Elvis When I Was Young [VIDEO] - Joe.My.God. “Tupelo, home of thousands of hard-working American patriots, and the proud birthplace of the king of rock n’ roll, Elvis. Elvis! We love Elvis. I shouldn’t say this, you’ll say I’m very conceited because I’m not, but other than the blonde hair, when I was growing up they said I looked like Elvis. Can you believe it? 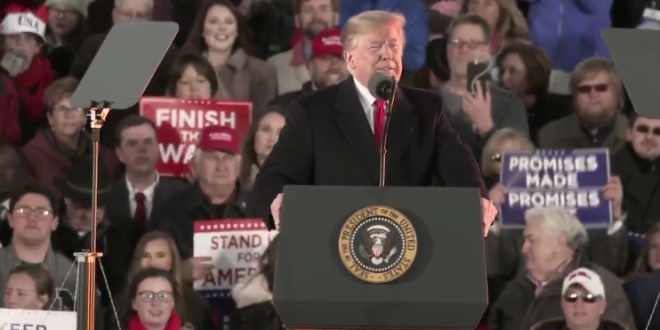 I always considered that a great compliment.” – Donald Trump, speaking last night at a rally for Sen. Cindy Hyde-Smith. A photo of Elvis arriving at McGuire Air Force base in New Jersey on March 3, 1960, two days before he was officially discharged from the Army.